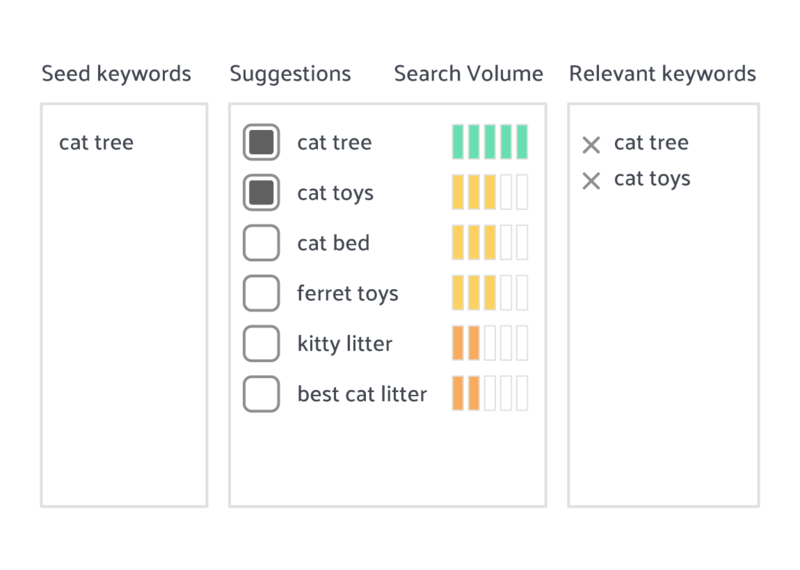 We went back to the drawing board (aka excel sheets) and tested some of your most commonly asked questions about Amazon SEO and Keyword optimization for better organic ranking. 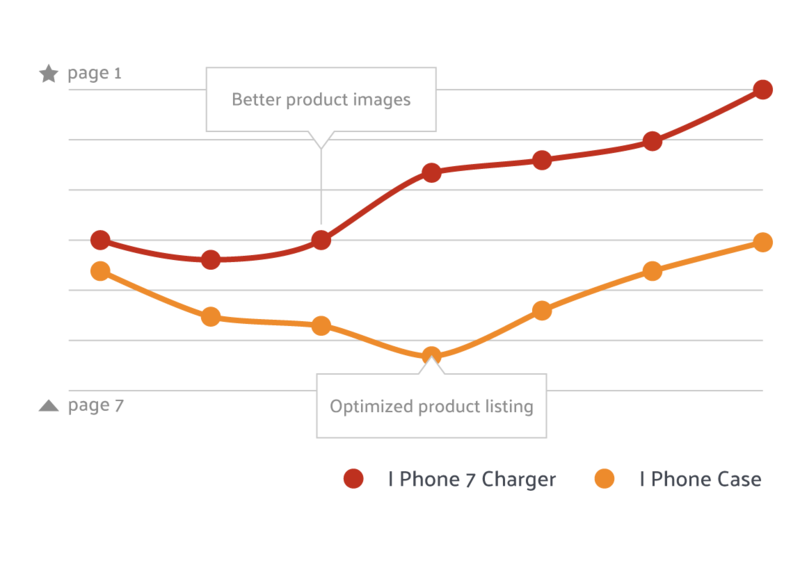 In our last Amazon SEO update, we discovered that different keyword fields of Amazon listings (title, backend, bullets, description) are no longer weighted differently in terms of their effect on ranking. In order to test the ranking effects of the different factors, we set up a set of products across different categories on Amazon. Our test products differed only in the parameter we wanted to test, e.g. spelling of ‘ä’ versus ‘ae’. After running multiple test searches, we examined the results for common patterns. 1. Do I have to add keywords to every child ASIN or is the parent/one child product listing enough? Do I have to add keywords to each individual parent/child listing to rank? Can I use different keyword sets across children to increase the number of indexed keywords? Are there any benefits in using specific keyword sets for each ASIN to get the most relevant to rank first? Parent product listings do not appear in search results. Depending on the product category, child ASINs will appear with their own title (e.g. Beauty and Home) or with the parent title (e.g. Apparel and Sport). Searching for keywords only included in the parent listing ranks a child ASIN. Which one probably depends on success factors such as sales and CTR. Searching for keywords only included in the child listing ranks that specific child ASIN. A keyword in one child listing has no effect on the ranking of another child product from the same family. Child listings are automatically updated with the bullet points, description and backend keywords of the parent listing. The optimized listing will rank for all relevant keywords that apply to all child ASINs. Make use of the increased space that child product listings offer, thereby increasing the number of indexed keywords. Your best-seller will appear for the most relevant keywords, while you are still covering less relevant keywords with the other child ASINs. This is especially useful when people search for specific sizes or colours. The Amazon SEO tool in the Sellics software helps you track the keyword ranking of all your products. In your product dashboard, you can select keyword/ranking performance on a product and a product group basis to monitor the visibility of your listings. 2. Which keyword variations does/doesn’t Amazon recognize? Good news: you do not have to include all possible variations in your product listing (and think about all the weird ways people might spell your product’s name). Amazon recognizes these variations automatically. However, what you do need to include are singular and plural for long compound words (what the German language is known for) as well as different spellings of compound words. We also recommend making use of hyphens were applicable as they cover all possible keyword variations. In the Sellics software, you quickly find all relevant keywords with a few clicks. Based on your seed keywords, you receive keyword suggestions and their actual search volume on Amazon. You can then directly add these keywords to your tracking and products. This way can be sure to never miss an important keyword again! 3. Should I repeat keywords for higher ranking and does the order of keywords matter? We have previously tested whether factors such as keyword repetition and keyword placements have an impact on rankings. You do not have to repeat keywords or have to take special care of keyword placement, but you have to make sure to include all relevant ones instead. The findings also mean that you can also concentrate on the quality of your content, rather than trying to stuff your text with all possible keyword combinations. The only thing to keep in mind is that keywords included in the description are only searchable if they are close to each other. In this context, keyword distance matters (more info on that here). The Sellics listing optimizer helps you to not only find the most relevant keywords for your product but also to optimize your product listing. It shows you exactly which keywords you have included and which ones are missing, their search volume, where they are and on which page you are ranking. You also have the option to compare your listing with that of your competitors and make improvements based on industry standards.